A trip to Paris without paying visit to Olympia Hall is almost blasphemy. 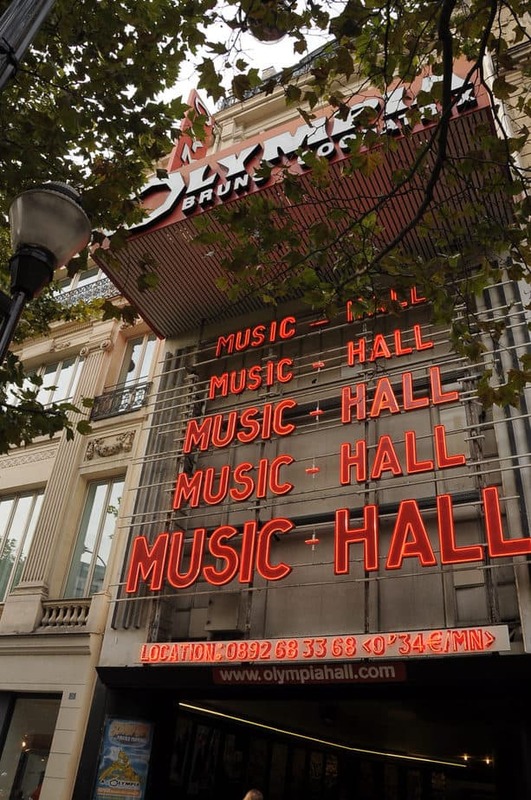 Known to locals as Café de l’Olympia, Olympia Hall is the foundation of the Parisian music culture as we know it. 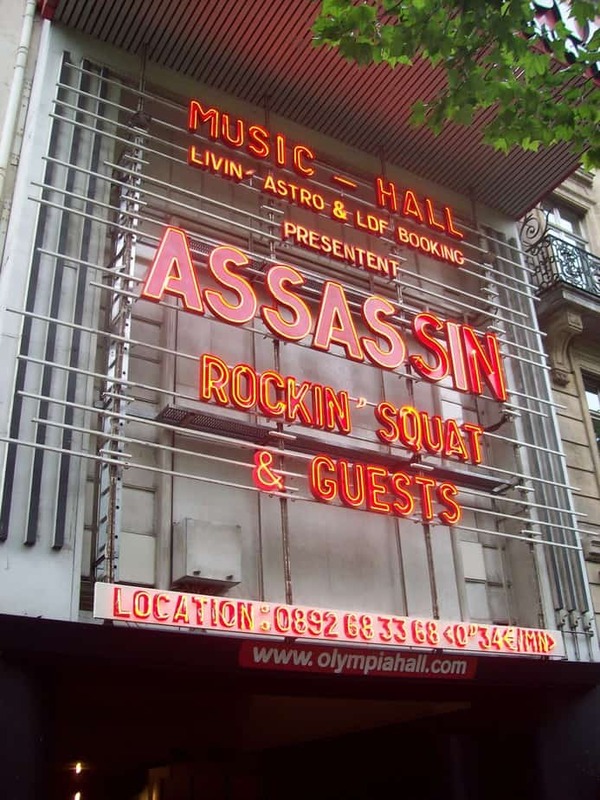 Founded in the late 19th century, the venue was around long before Édith Piaf first picked up a microphone, or Serge Gainsbourg sat behind any piano keys. For a long time Olympia Hall gave refuge to the creatives who were driven to the city as part of the Bohemian movement earlier in the 1800s. Today, it is a mythical site that draws thousands of visitors by the week. Inside, a constant feed of electricity can be felt through the air while the aging stench of acts long past cling to the walls. Do I have your attention yet? How about I give you 10 more reasons to venture to this eclectic landmark above all others. 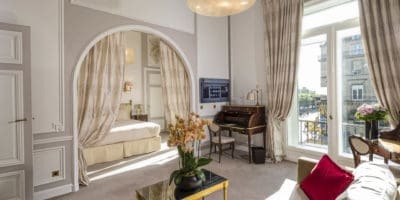 The Olympia calls the 9th arrondissement home. 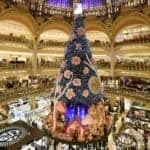 It is located on the Boulevard des Capucines and can technically be considered part of the neighborhood known as Madeleine. Due to the extensive history of the area, Madeleine is today considered one of the richest neighborhoods in the capital. 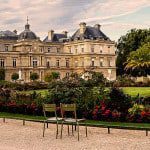 The area is laden with boutique style shopping and luxury hotels & is home to some of the most historic buildings Paris has to offer. 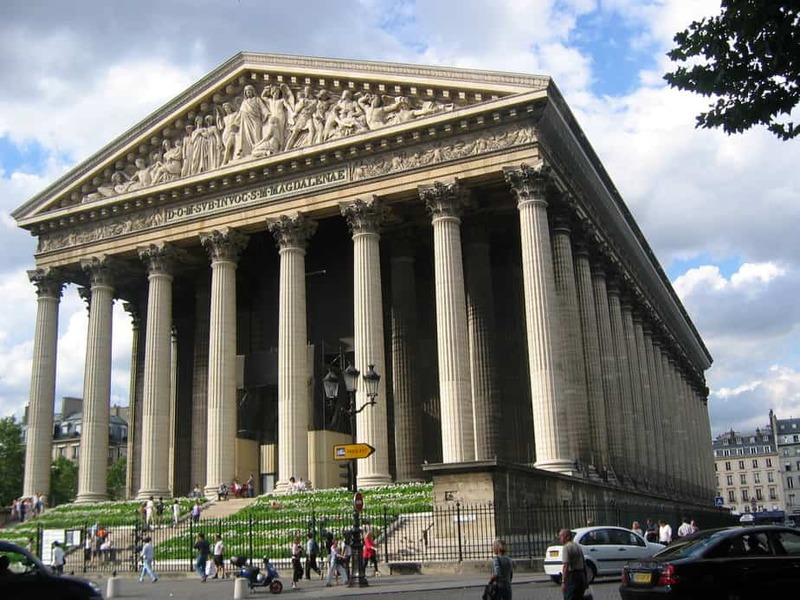 From the spectacular Eglise de la Madeleine to the first ever private museum in the nation, The Pinacothèque de Paris. 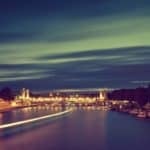 Taking a guided walking tour of the area will fast reveal the gems it has to offer. However knowing what I know now I would recommend a slightly alternate experience when first venturing to Madeleine, particularly if the intention is to catch a show at Olympia Hall. Madeleine and the adjacent suburb of Opéra are littered with some of the trendiest bars and restaurants in all of the 9th. Start your evening by dining in one of the bistros in the adjacent roads just before the show. Following the concert, talk a short walk north and continue your evening in one of the street bars en route. The nightlife here has a tendency to spill onto the streets, you’ll know from the vibe if you’ve found your place. To get to Olympia Hall take the metro to either the Madeleine or Opera stops. It is just a short walk from either. …on the inside, that is! From the outside the hall looks like every other delightful building in Paris. Clean lines, shallow balconies — in fact, were it not for the gigantic LED sign by the entrance one might never know the true nature of the space. Once inside, the experience is quite different. During seated productions the building can hold up to 1985 individuals. During rock concerts the capacity is significantly more coming in at around 2824. Over the years the building saw intense signs of decay and instability. In the early 90s the Parisian Ministry of Culture issued a strict preservation order on the property. Almost overnight Olympia Hall was transformed back into the glory years. Everything was refurbished. From the stage detail and carpeting, to the towering ceilings and the red velvet seats… right down to their gold trim. Only visiting the hall for yourself will give you full comprehension of its exceptionally grand scale. In order to fully appreciate the wonder of Olympia Hall it is perhaps necessary to dive a bit deeper into the history of the venue — right from the start. Back when the hall wasn’t known as Olympia at all, but rather under its original name; the Montagnes Russes. The space was founded back in 1888 by a man named Joseph Oller who would, just one year later, go on to open the iconic Moulin Rouge one arrondissement up in Pigalle. The name was only changed years later in 1893 as a attempt to rebrand the space and draw more attraction and it worked. The concert hall saw more successfully years of performances right up until the 1920s when things started to become stagnant. In 1929 the performance hall drastically transformed into a movie theatre. It remained as such right up until the end of World War II. It was only in 1954 when the space was restored back to its original purpose of a musical venue. It was then that Paris saw an era of concert after concert by some of the greatest; Marlene Dietrich and the afore mentioned Édith Piaf to name a few. The space holds on to its authentic framework as much as possible despite some obviously modern touches here and there. For example, the hall is now fully air conditioned for the sweaty summer time concerts. A welcome improvement, I dare say. An obvious one, is it not? What better reason to head to Olympia other than the promise of some of the most renowned acts available at present. The biggest names in music play sold out concerts within the space year round. Amongst them are the likes of Jack White, Elton John, Patti Smith and Ringo Star to name just a few. Due to its extensive holding capacity Olympia is generally the stopping point for all international acts while on their world tours. Tickets are relatively easy to get however it should be noted that the more popular artists tend to sell out in a matter of hours, particularly in season. Patrons are encouraged to beware of scalpers selling counterfeit tickets on the street side the night of big performances. 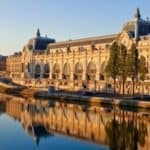 When it’s not big international artists then the Olympia becomes host to a variety of music festivals usually centered around historic names in the French music industry. These events are described by attendees as a spectacle. A true celebration of the French arts that made the city what it is today. If you are lunch enough to be in town over one of these concerts I would highly recommend making the trip into Madeleine for it… you’ll be glad you did. I understand that the glamour and glitz of Hollywood’s biggest stars flocking to perform at Café de l’Olympia might not be everyones cup of tea. Thankfully management of the space does not limit themselves when it comes to selecting acts. The Olympia is always first in line to promote smaller, up and coming artists who may not yet have the backing of the bigger stars. 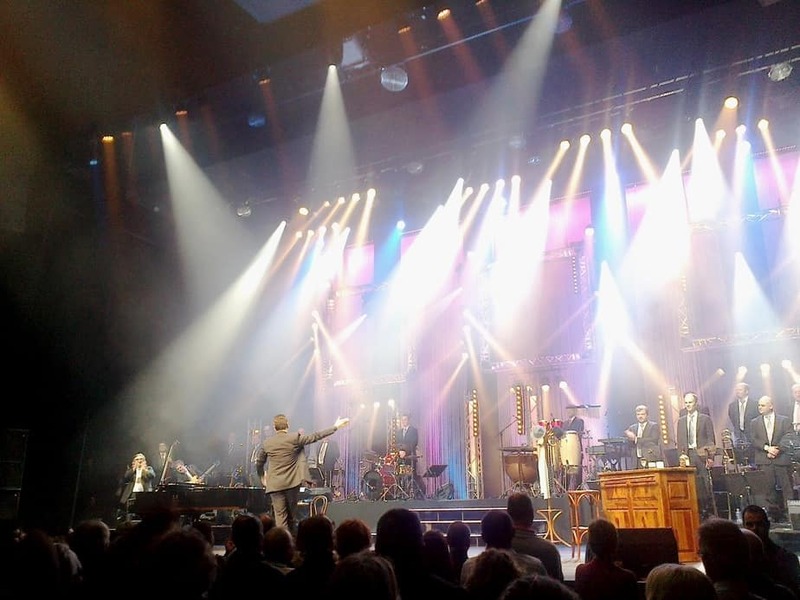 It is unusual for grand scale concert halls around the world to do this, but Olympia stays true to its roots and is not above headlining much smaller acts as well. These performances are a mix of both local and international artists and, because of the fan loyalty to the space, tend to draw crowds of adequate proportion. There is truly nothing better than discovering an artist who was previously nowhere near your radar. For this reason it becomes totally acceptable to buy a ticket for any evening at the Olympia, whether you recognize the acts or not. They are guaranteed to impress… it’s just how things happen out here! My favorite thing about Olympia Hall is that it is a space of unlimited inclusion. 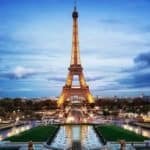 It is where locals and foreigners come together to share in the art of performance and one of the few places in Paris where your nationality ceases to matter. City attractions have a tendency to become spaces where the tourists flock and the locals avoid like the plague. Too often as locals we attach stigmas around tourist hubs. I enjoy that this is not the case with Olympia Hall and encourage everyone to bask in the eclectic array of people at least once while in Paris. For the people watchers, it’s a feast for the eyes. For the networkers, it’s crawling with potential hookups. For the lonely, there are hundreds of new friends waiting to make your acquaintance. The social nature of the surrounding neighborhood also feels the effects of this diverse venue. By night the bars and restaurants are equally as mixed in terms of local to foreigner ratio. The energy of it all is absolutely wild. Go see for yourself! 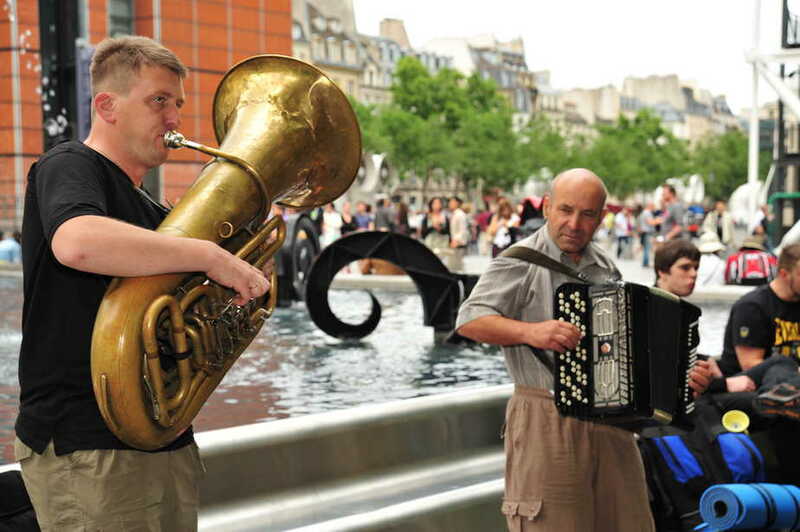 The Fete de la Musique is an annual event in France that takes place on June 21st of every year. It is sometimes also known as Make Music Day. On this day all citizens of the nation are encouraged to make and play music by any means necessary. They are expected to take to the streets and parks to do so. 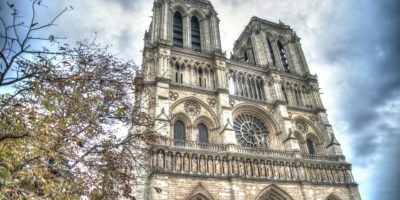 It is quite a sight to behold and there is no better place to be on this day than roaming the Parisian roads (Read more about Discover walking tours). 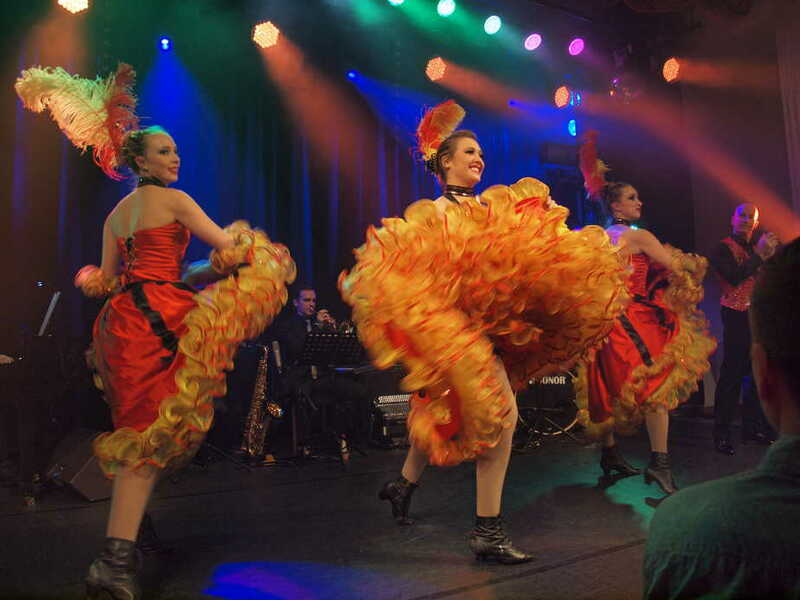 In true support of this global art, the Olympia offers an array of free shows that are open to the public. Tickets can be hard to come by due to the overwhelming popularity and are usually granted on a first come first serve basis on the day. 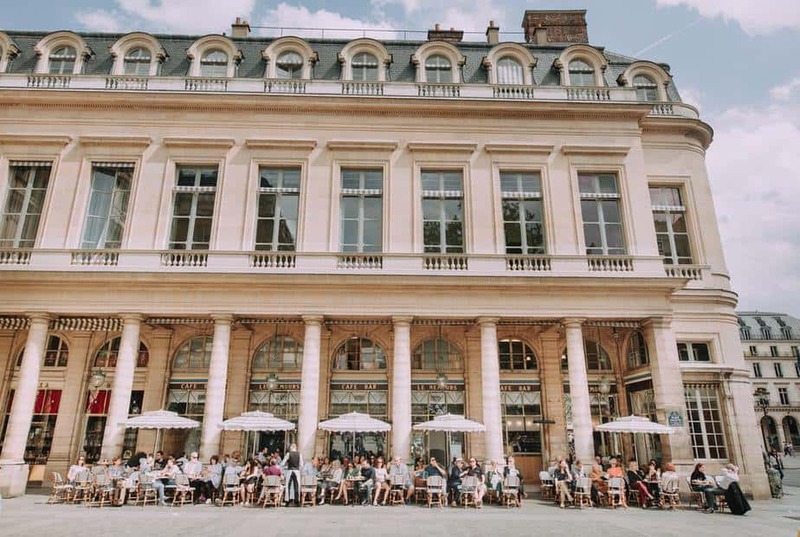 Free concerts on Make Music Day in a historic venue in the French capital? Nothing quite like it. If you think back on Olympia’s history, and the nature of the performances that once took place there, it’s almost enough to spark some jealousy of the attendees of the time. Or at the very least probably a subtle sensation closely resembling that of being born in the wrong era. The truth is we never really acknowledge the significance of the time until it has come to pass. Just as we sit today and marvel over the wonders of the artists who graced the space during the early 90s, we’ll do the same about the early 2000s many years from now. It is a truly perplexing reality about the human condition. The only way to beat it? Get involved today. Instead of becoming one of the people who look back and wish they’d been part of this time in the history of the theatre instead become one of the people who can say they were there. Twenty, thirty, forty years from now you’ll be able to tell tales of the old days the way we do about the Olympia reign of the 20th century. Today Olympia Hall is, for the most part, a solely musical venue. It wasn’t always like this. For a long while, closer to the founding of the building, the space was home to a variety of different kinds of art. Alongside concert performances the hall hosted a large number of theatre productions, cabarets, ballets, operas and even circuses. Every night was a different spectacle with something for everyone to enjoy. Attendees would flock from all over the country to attend one of the impressive extravaganzas. It’s a wonder to sit inside the vicinity that once held this versatile ability. Oh so typical but so very relevant in modern times. Did you really even visit Paris if you didn’t put it on social media? Your vacation pics aren’t complete until you’ve stood under the red fluorescents that make up the Olympia Hall sign board. The signage is iconic and recognized worldwide as a global travel destination. Even if you aren’t able to stay for a show, taking the time to behold the block in which such a monumental venue exists is a worthwhile excursion. The history, the grand scale, the clashing of cultures… just a few of the things that make Olympia Hall undeniably the greatest concert venue in all of Paris. Should you find yourself in the general area of the 9th arrondissement be sure to make this landmark a stopping point. And definitely some of the above fun facts with anyone who’ll listen, they’ll be très impressed!